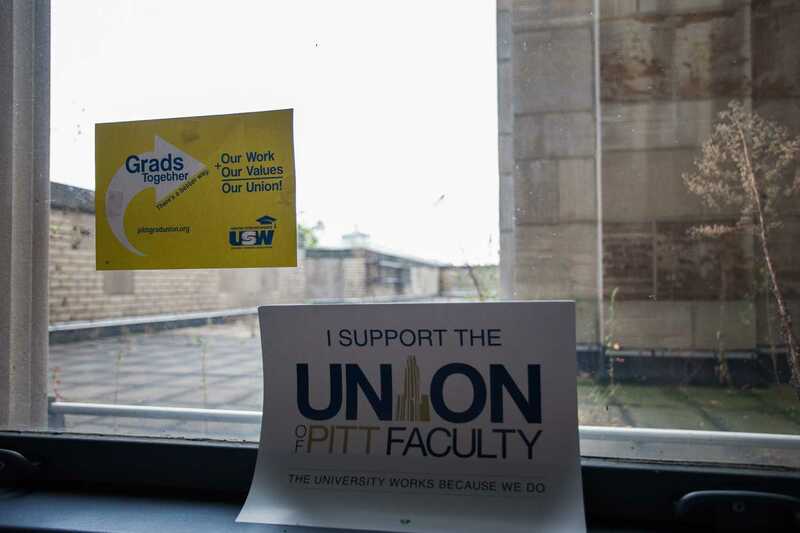 Graduate students at Pitt filed for a union election Friday, indicating that at least 30 percent of Pitt grad students have signed union cards. Students delivered union cards to the Pennsylvania Labor Relations Board in Harrisburg Friday afternoon. An election could take place early next year if Pitt doesn’t interfere, the United Steelworkers said in a press release. Pitt spokesperson Joe Miksch would not confirm if the University plans to contest the election process. He said “providing our graduate students with an exceptional academic experience” remains Pitt’s focus. The union organizers started gathering cards in February of 2016, making the deadline to apply for an election February 2017. The United Steelworkers would represent grad students at Pitt if the union is formed. According to the union organizers’ website, the main issues the union would advocate for include timely notification in writing for employment decisions, fair salaries with fixed and periodic raises and protection of graduate student speech and writing from institutional censorship or discipline. Pitt Provost Patricia Beeson, writing on behalf of the University, came out against the grad student union in a July letter. She said the union wouldn’t negatively affect the relationships between grad students and faculty. The University has said the “shared governance model” currently in place is a better solution than a union. Pitt has also claimed a “third-party” organization, in this case the United Steelworkers, would not be in the students’ interests. Union organizers have countered this claim, saying a union would free up student-faculty relationships.